Late in August, I prepared dinner for my family to celebrate my granddaughter’s 25th birthday. I made my signature chicken pot pie, mashed potatoes, fried okra—all the foods that are my family’s favorites. Jasmine expressly asked for a buttermilk pie instead of a birthday cake. I also baked a fresh apple pie. 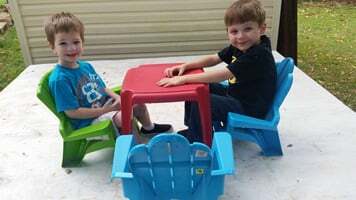 My great grandchildren played in the backyard, where Lee had put up swings and a volley ball net. The beginnings of a play house he is constructing from old fence boards served as a “stage” for some of their antics. The next day, three-year-old Nathan stayed with us while his mother went to her job. I made his favorite muffins and he ate three! Plus four scrambled eggs! The two older children attended school. But later in the afternoon, all three once again played in the back yard. 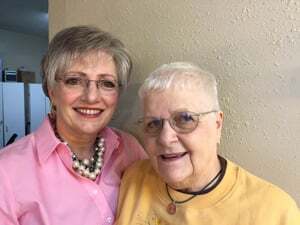 They had an impromptu tea party on the floor of the new play house, rode their tricycle, and made chalk drawings on the driveway. .
A couple of weeks later, I drove three hours to Branson, Missouri, to spend two days with a dear friend. Lee was in Winnipeg, Canada, on a work-mission trip. The next week, I went to my local clinic with what I thought was a urinary tract infection (UTI) and I mentioned to the nurse practitioner that I had had fleeting pain and soreness in my abdomen at least since February. I had discussed this with two other health professionals, who thought it was nothing significant. This particular nurse ordered a CT-scan at our local hospital. The evening prior to the scheduled scan, Lee and I attended a picnic at Dam Site Park, hosted by my Sunday-school class. Everything was good—and typical of our lives together. However, life is what happens when you’re making plans! I’ve had my life turn on a dime on several occasions, taking me in a totally different direction. The scan was one of those “dimes.” By noon the next day, the nurse had called to say that I had multiple masses in my abdomen. She ordered blood work, for which I immediately returned to our hospital. The report showed markers for ovarian cancer. We had already made plans to travel back to Branson for a weekend media trip, so we kept that schedule. I’m thankful for that wonderful weekend, seeing shows, attending receptions, and meeting new people in the entertainment city. I had fleeting thoughts—would I ever be in Branson again? I tucked them aside with whispered words: “I trust You, Jesus.” However, I knew in my heart, my life was changing—that I was facing a huge challenge. On Sunday, we returned home—to what? I did not know. On September 24, I traveled to Baptist Medical Center in Little Rock for a biopsy of one of the masses in my abdomen. On October 1, 2015, I had my first meeting with the oncologist who visits Heber Springs once a week. He explained that he theorizes that at least one of my ovaries ruptured and spewed cancer cells over the barrel-shape of my abdomen, leaving masses clinging to various areas in my mid-section. 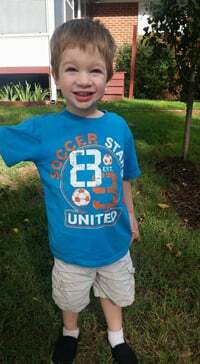 He ordered a Pet-scan, and also aggressive chemo to begin the following week. He diagnosed my cancer as Stage 3C. The Pet-scan showed no further spots of cancer, and I began the chemo before a port could be scheduled. The doctor said I could not wait. Thankfully, my chemo treatments, the Pet-scan, and the surgery for the port could all be done in my hometown, eliminating travel. Every three weeks, I receive three bags of medicine—the first for nausea and also packed with steroids. (Which give me about the only good hours in this three-week cycle. My sister asked why I could not always have the steroids! Not a good idea!) Next, comes Carboplatin, and then Paclitaxel (Conventional). The process takes at least three hours and I sit in an infusion room with many other patients—some much sicker than I. The afternoon following each treatment, I receive an injection of Neulasta, a medication to boost my white blood cells and help me fight off infections. However, Neulasta has its own side effects that compound the ones from chemo. And the cost? $5,000 per injection. Nurses insist that my insurance will pay for it. In less than two months, my life changed from caring for my 3-year-old great-grandson one day a week and playing with his 4 and 6-year-old siblings…driving myself wherever I wanted to go, walking at least two times a day and working out in the therapy pool at our local Aquatic Center three mornings a week to being unable to be “up and around” for more than a few hours on a “good” day…not sleeping at night…feeling unsteady to drive…and experiencing nausea, diarrhea, joint pain, loss of appetite, loss of taste, and a general malaise. I spend a lot of time going from my recliner to the couch to my bed. The doctor said I would lose my hair in two weeks. I started looking for a wig. A friend offered to drive me to Little Rock to select one, but I did not feel like making the trip. My hairdresser helped me order one from a catalog. I asked her to go ahead and “buzz” my head, but she said she would cut my hair to about an inch in length as a transition. It was a good suggestion—although I hated my very short hair style. My curls—a totally curly “do” I’ve had since I taught public school kindergarten over 30 years ago. My sister says it would be great for her to have no hair and a wig that is always styled. No bad hair days! I told her she definitely would not like it. There is something very personal about one’s hair—and losing mine was traumatic. When my hair began to fall out in handfuls, only a couple of days past the doctor’s two-week prediction, Debbie came over and buzzed my head. It was difficult for both of us. When she finished, she asked if I wanted to look in the mirror. “No!” I said, and pulled on a head gear. I still can barely stand to look at myself with no hair—and do so only briefly when I shower. I’ve asked myself—only a few times—how and why this happened to me. I do not feel that God sent cancer to me, but I also believe that everything filters through His Fingers. I believe this was no surprise to Him—and I also believe it is a test for me—how I handle it. I do not know if the treatments will kill the cancer. I do not know if I will continue to be sicker and weaker; the second treatment had very bad days immediately—and lasted longer—than the first. But even though some days get better—for which I’m thankful—none have my previous energy. Everything in my life has come to a standstill. I’m thankful that at this stage of my life, I can lie on the couch all day. I read accounts of other women who are sicker than I, yet they go on to jobs, take care of young children, and somehow manage their homes and careers. I’m thankful for my husband, who takes wonderful care for me. I’m sorry he has to do so much. Right now, I do not know if I could live alone. I’m thankful for my daughters who check on me daily—who offer to help. Right now, the most important thing I need is prayer—and to know that both of them are helping to take care of my three great-grandchildren. At this point, I cannot help with them. I didn’t even feel up to having them come to “trick or treat” on Halloween, so I missed seeing their costumes. Timothy is rehearsing for a Christmas program at church—and I am sure I will not be able to attend. Currently, the children do know how sick I am. Timothy, our very perceptive six-year-old, associates being old and sick with death because his great-great-grandmother died at age 100+ when he was four…and collectively as a family, we’ve lost three pets in the last year that were “old and sick.” So when he hears one of us say we are not feeling well…or that “I’m just getting old,” he asks, “Are you going to die?” We always assure him that we are not…at least “not today.” This time, I do not know that. I’m thankful, humbled, and overwhelmed by friends and family who daily pray for me—who send me encouraging messages and cards. Most of all, I’m thankful that I have a God who is planning good for me, not evil, Who is carrying me through these terribly rough days—and Who promises He will give me a “…future and a hope.” (Paraphrased from Jeremiah 29:11—a scripture that has comforted and sustained me through many difficult times.) I know that I do have a future and a hope—no matter what. I agree with you that the sick dys re the worst But son you’ll differentiate between the “SICK” days and the NOT SO BAD days. I suggest that that you figure out what to wear to Tim’s Christmas program and be determined to be there. It will be good for you to have goals that you CAN achieve even if you feel like poo. It will also make Tim a memory he won’t forget. My diagnosis was stage 4 Ovarian cancer in 2011, I had even more surgery than you and I’m still here kicking and fighting. Trust that GOd has reasons for what is happening to you and just relax and let Him show you what they are. There’s lots of love out there directed toward you. Have a good day. May God bless you with his healing power. 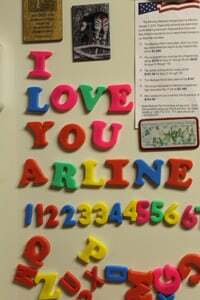 Arline, you have such a way with words, even difficult ones! Thank you for sharing! You are in the prayers of my Bible Study on Wed nights and in our hearts and prayers the rest of the time! In God’s Love!!! 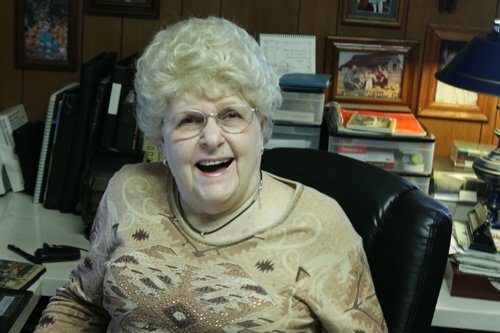 Arline, oh, how brave you are and I know you have been through so-o much! I doubt If I could be that strong. I cried as I read your story and then began thinking of when I first remember you with your beautiful, long, blonde curls. You were the most gorgeous little girl I ever saw and so talented! I have admired you for always staying close to our LORD and now HE will carry you though this dark time. Many Prayers and much Love to you and your family! Wow! I am praying for you and your family. I’m so sorry to hear about your illness, and understand, now, why you retired from full-time RV’ing. Jesus, in His great love is with you, and holds you in His arms. Blessings and hope to you.